If you want to learn Spanish in a Mexican immersion environment, then Cuernavaca, the “City of Eternal Spring", is the place for you. A virtual hub of foreign language learning schools, Cuernavaca offers an extensive choice of schools both to teach English and to study Spanish. In fact, during the summer months, the city is crowded by tourists and foreigners to an extent unequalled through most of Mexico. Both a blessing and a curse at once, this is where the city’s principal problems lie. Studying Spanish during the summer here can be a cultural immersion overload and unpleasantly overcrowded. Much of the year in Cuernavaca, however, can be a rewarding Spanish language immersion experience. With such a variety of locations, features, and prices from which to choose, you can almost certainly find one that best suits your particular Spanish language learning needs. Note: The international country PHONE code for Mexico is "52". Don’t get hung up on the Aztec Indian name. This educational facility’s intensive Spanish language programs begin almost every Monday year round with intensive weekday Spanish classes of 5 persons per group maximum. If you want to have more travel and touring time for yourself while in Mexico, there are intensive weekend classes available as well. They have an interesting Mexican studies program offering regular archeological field trips to supplement classroom studies for as many weeks of on-going Spanish language immersion as you wish. The programs at IDI change at times and course offerings can vary greatly from one season to the next. It’s a good idea to visit their website and check out their current offerings and schedules. Their three website locations also offer different information overviews depending, in part, on seasonal course offering changes. Summers can be a real “mob scene" in Cuernavaca, with everybody there “studying" everything. For your best chances of success here start early in the year or choose another time of the year besides the summer, if possible. The school’s main website is in Spanish, although alternatively you can search for course information through the E-Magister UK website. Here Spanish language learners are offered excursions and activities to supplement total immersion Spanish language classes. Homestays with Mexican families, hotels, apartments or hostels are also available for longer term students. There is a video in English on their website giving details and a brief history of their Spanish language center. Tuition rates for weekly Spanish language programs and accommodations are posted in US Dollars on their website. ecole de la Langue Espagnole. You can take a virtual tour of the school, its programs, facilities and the city of Cuernavaca itself online through a series of videos. This school bills itself as the fastest and easiest way to learn Spanish in Mexico. Check them out online for the latest course offerings, schedules and Spanish language program fees. Kukulcan Spanish Language School in Cuernavaca offers intensive and personalized programs focused in developing quick conversational fluency. For a program description and further details go to their website for up-to-date details. Here are some more websites worth checking out. You can view some nice photos and information about Cuernavaca, Xochicalco, lake of Zempoala, Teopanzolco, all in the state of Morelos. 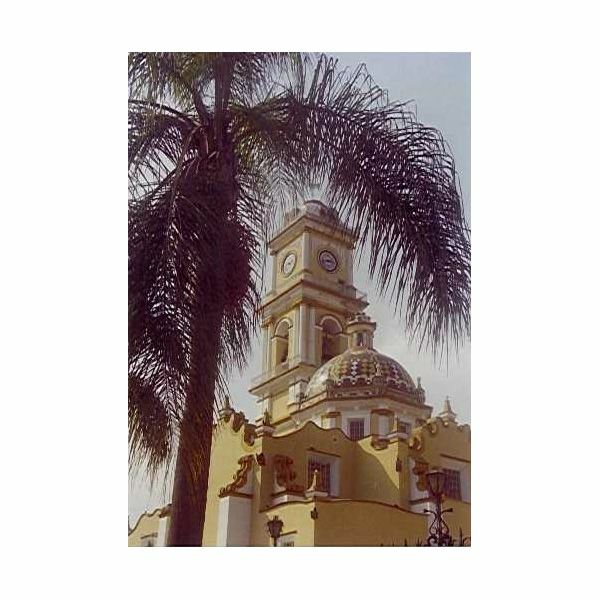 An extensive array of local Cuernavaca information is available online in English at this useful site. You can write, call toll-free, or e-mail them for additional information on facilities available in the Cuernavaca area. So if you’re looking to learn Spanish in a Mexican total immersion environment, then why not consider Cuernavaca, the “City of Eternal Spring"? You can contact these schools for the latest information on courses, fees and local accommodations. Then, prepare yourself for the experience of a lifetime whether it’s for a week, a month, or a semester or more abroad. For more information on learning Spanish through immersion courses, please refer to Learn Spanish in Mexico with a Total Immersion Course and Language Acquisition versus Language Learning: The Pedagogical Problems with Language Immersion Programs. Find out all there is to know about spanish immersion programs! !